I'd been meaning to pick up Cinder for months now, and Christmas break finally gave me the opportunity to do so. 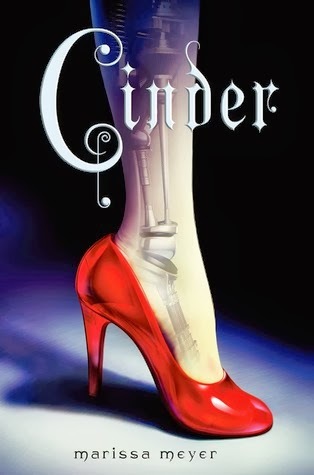 After reading countless posts extolling Marissa Meyer's debut novel, my expectations were set pretty high for this fantastical retelling of Cinderella's story. Thankfully, I was in no way disappointed. Even before I cracked the spine, it was obvious that Meyer had created a unique world in her novel. The combination of medieval monarchies, futuristic cities, cyborgs, and magic makes for a story unlike any other. At first, I was skeptical that so many different aspects would be able to click in the story. 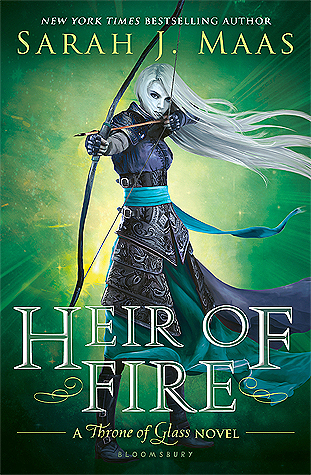 Surprisingly, Meyer adeptly weaves a fairytale that enchants and intrigues. Now, how about those characters? Yes. Just yes. Cinder's determination and vivid personality earned my love instantly. The other characters are well described and equally as interesting. I found myself mental creating detailed portraits of each character. As I was saying earlier, this is not your classic retelling of Cinderella's infamous trip to the ball. While the key elements are there (the stepmother, the prince, a forbidden ball, etc. ), Meyer separates her tale from the numerous other Cinderella tales. Cinder is not a helpless damsel in distress, and there is much more to the plot than one would guess. I honestly have very few critiques. One tiny little observation was the predictability of the story. Yes, this isn't your average Cinderella retelling, but I was able to guess the outcomes of many events. I kind of wish Meyer had shocked me a little more. Oh well. At least it was still interesting, despite the lack of surprises. Overall, I'd highly recommend Cinder. I can't remember the last time I truly enjoyed a novel this much. Meyer's story is incredibly refreshing in a genre predominately filled with cliche characters and overused plot lines. If this novel isn't already on your radar, watch out. It's going to be big.